"Faith exists so that each Disciple will Know Jesus, Grow in His Word, and Share His love with all." 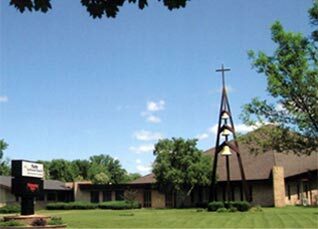 Welcome to Faith Lutheran Church! Knowing what to expect when you arrive at our church can make a large difference in your first experience. We invite you to take some time to get to know us and discover all our congregation has to offer. Our faith is built upon the love of the Triune God: the Father, the Son, and the Holy Spirit. These three persons of the Trinity are coequal and coeternal, one God. Our mission is to make the love of Christ known within our churches, communities, and the world. We come together each week to worship and spread the word. Are you ready to join our congregation? We're excited to meet you! Please email us to get started and set up a visit. Stay up-to-date with your volunteer schedule. Find yours below. Please contact the church for the latest volunteers opportunities. Read regular ministry news and updates from Faith Lutheran Church.